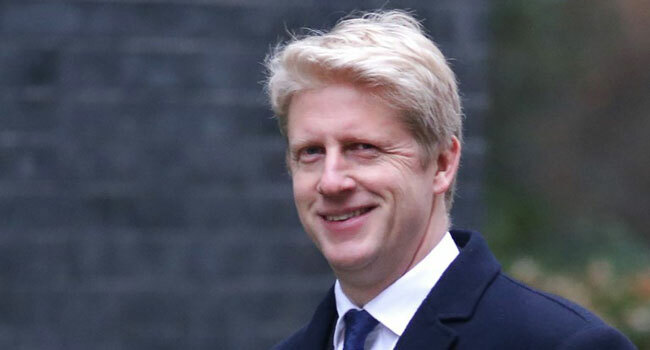 Britain’s transport minister Jo Johnson on Friday resigned from Prime Minister Theresa May’s government in opposition to a looming Brexit deal and called for a second referendum on leaving the EU. “It has become increasingly clear to me that the withdrawal agreement, which is being finalised… even as I write, will be a terrible mistake,” he wrote in a stinging resignation statement. Johnson — who had backed staying in the EU in the 2016 referendum — is the younger brother of Boris Johnson, who spearheaded the pro-Brexit campaign and quit as foreign secretary in July over May’s Brexit blueprint.